I have serious mixed feelings, guys. Charm & Strange is a little charming and a lot strange. The story takes place on two different timelines. In the present-day timeline, Andrew “Win” Winters wanders into the woods near his remote boarding school. It’s obvious that he has a severe mental illness: He believes that he is turning into a wolf. In the past timeline, Andrew spends the summer at a lake with his family. Something terrifying happens that changes his life forever. I was interested in reading this book because of the werewolf aspect. I wondered how the author would handle it without it coming across as silly or disrespectful to people with mental illnesses. Now that I’ve read the book, I can say that the author handles the werewolf stuff brilliantly. The book is well-written, and Win’s wolf fixation makes perfect sense in his confused mind. The author does a nice job of showing why Win believes something so irrational. I like that Win has friends who try very hard to understand him. They protect him when he’s too lost inside his own head to protect himself. On one hand, I know that this is an extremely important book. It’s a realistic, non-glamorous look at mental illness. Young adult stories about trauma and illness are necessary because (unfortunately) many young readers have had trauma and/or mental illness in their lives. Everyone deserves to see themselves in a book. On the other hand, I found this novel to be really, really predictable. Win has a deep, dark, traumatic secret that he’s hiding from everybody. It’s the exact same deep, dark, traumatic secret that a ton of other YA protagonists are hiding. I feel like I’ve read this book before. I could see his secret coming from a thousand miles away. Since I figured out his secret relatively early, I had to sit through 100+ pages of angst while I waited for him to tell me what I already knew. If I hadn’t been reading this book for a class, I wouldn’t have finished it. 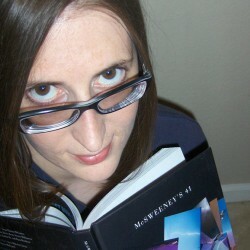 Predictable books frustrate me. My favorite part of the novel is actually the beginning because it’s not clear what’s going on. It’s difficult to tell what’s actually happening and what Win just thinks is happening. Once I did figure out what was actually happening, I completely lost interest in the story. 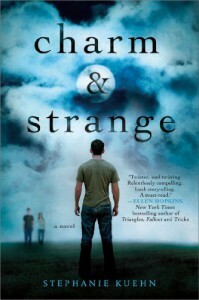 Charm & Strange is an important, beautifully written novel, but it’s too similar to dozens of other books I’ve read.